QB-translations was a small team consisting of only 2 members: The translator, Jejuni, and the editor, Emer. The team was founded in February of 2012. Initially, the only goal was to release a good translation of Takotsuboya’s “The Magical Girl Next Door”, which was incidentally also the reason why we decided to call ourselves “QB-translations”. 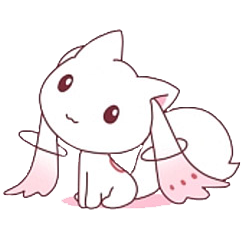 That and, well, the fact that we share Kyubey’s love for cute little girls. After that, thanks to the aforementioned overlapping fields of interest, we decided to keep the scanlating business going. If you’re an avid reader of our site you might have noticed that our main focus is all things flat-chested, but we’re certainly not limited to just that. Our main goal is to provide quality translations that stay as close to the original Japanese as possible, packaged with skillful editing to enable everyone who can’t read Japanese to enjoy the finest works the country has to offer in a language they can understand. As of August 2012 the editor, Emer, has left the QB-TL team due to a lack of time to continue the project. All releases since then and all releases in the foreseeable future will be translated and edited by Jejuni. If you want to hang out and chat with us, come and join us at #QB-TL @ irc.rizon.net!